الخيار الأفضل للحصول على المتعة والاسترخاء، K Road City Travellers Hostel يقع في منطقة رائجة من أفضل مناطق المدينة. يمكن من هنا للضيوف الاستمتاع بسهولة الوصول إلى كل ما تقدمه هذه المدينة النابضة بالحياة. يشكل هذا الفندق ملاذاَ مريحاً للاسترخاء ويمنح زواره فرصة للاستجمام والتجدد، وهو يقع على بعد خطوات من المعالم السياحية الكثيرة للمدينة. 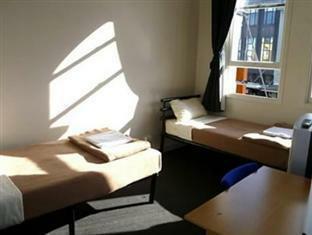 يقدم K Road City Travellers Hostel خدمات لا غبار عليها وكل أشكال اللياقة وحسن الضيافة اللازمة لإسعاد ضيوفه. يقدم هذا الفندق العديد من الخدمات الكفيلة بإرضاء أكثر الضيوف تطلباً. في K Road City Travellers Hostel غرف نوم يزيد عددها عن 13 صممت بذوق وعناية لتوفر لك كل وسائل الراحة . بعضها يحتوي أيضاً على اتصال لاسلكي بالإنترنت, غرف لغير المدخنين, مكيف هواء, تدفئة, مكتب. كما أن مجموعة الخدمات الواسعة الموجودة في الفندق لضمان راحتك تترك لك الكثير من الخيارات لقضاء وقتك أثناء فترة إقامتك. استمتع بخدمات لا يعلى عليها وعنوان ذو اعتبار في K Road City Travellers Hostel . I am genuinely surprised by this place having a "very good" rating on Agoda. 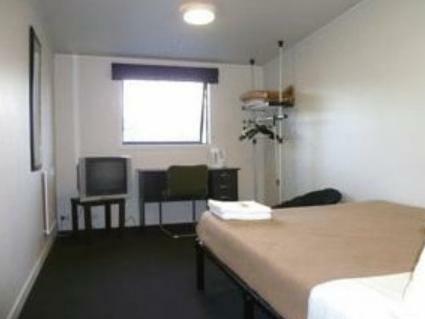 It is was the dirtiest place I have stayed at around Auckland and I have done quite a few hostels. Arrived to check in around 3pm and was welcomed by a "back in 30 mins" sign. Actually, every time I walked by reception during my stay, it seemed to be empty... After waiting longer than 30 mins the receptionist showed me to my room which was crammed with the stuff of obviously long term guests. A tell tale sign was a clothesline suspended partly above my (not very generous) space. I had to limbo dance under it every time to get to my bed. Even the walls were dirty and the room was so crammed that I would be surprised if the cleaners actually managed to clean the floor like that. That said, I didn't notice anyone even trying while I was there. Only pro is the location; you are right on k road if that's your thing. Otherwise, there are cheaper and nicer places around the corner. Staff are nice, room is okay, not dirty. Shared toliet is a bit messy though. 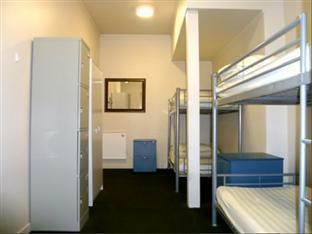 Very convenient to airport bus station and other transport. around 10 mins walk to the main street. This was a good place to stay for a night. Free wifi, food nearby, buses nearby. Pretty clean. There is a pub right next to the hostel. We couldn't get a good sleep for the whole night after a 21-hour flight. Music was too loud and noisy. There were people laughing and shouting from time to time, and there was police vehicle siren as well. Good location and friendly staff. We only spent one night here but always waken up by noises at lounge. We can clearly hear the conversation outside just like with door opened. A flight stairs to reach reception and another stairs for reaching our room tested our physical ability for moving large baggages. Toilets are clean but bathrooms......so so. My stay was pretty good. I had a nice surprise when I found out my dorm was shared, but I had pleasant roommates. 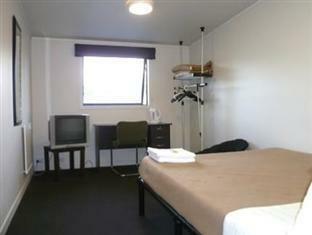 The rooms were a bit small, rooms only had cubby sized lockers. Bathrooms were clean. It was fairly loud at night because k'road is the party strip, but nothing overbearing to where we couldn't sleep. The breakfast is only toast. Staff was friendly, they had answers to my questions and helped when needed. I would stay there again. Good location.staff is friendly.near asian market and asian restaurant and france restaurant. Location, price and free wifi and breakfast. Comfortable stay, you pay for what you get, definitely recommend for solo travellers. Hostel is located very near Queen street which is convenient for eateries and malls etc. 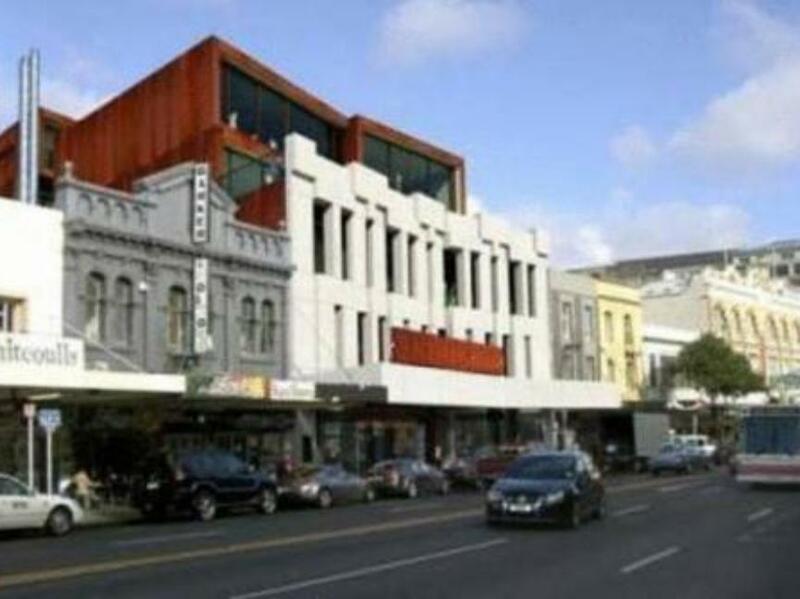 K road is a red light district but the hostel is "not so near it". You would have to go down further to be in the "zone". Service from staff is ok. Inconvenience when going up to hostel as it is only a narrow stairway up and it quite a chore to bring your luggage up if its heavy. Otherwise it is fine for just slping for the night and washing up. I like this hostel, good location, free breakfast and wifi internet. Solche schmutzigen Duschen & Toiletten haben wir nicht mal auf Campingplätzen gesehen. Auch der Küchenbereich war extrem unsauber. Es scheint, dass in diesem Hostel Reinigung ein Fremdwort ist.